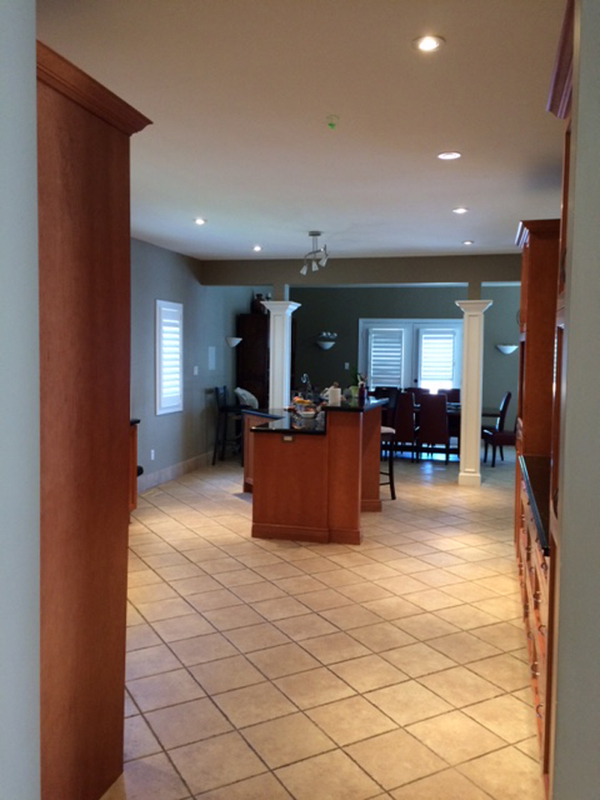 Our client walked into our showroom looking for advice on how to improve the functionality and feel of their unique and spacious Ancaster home. 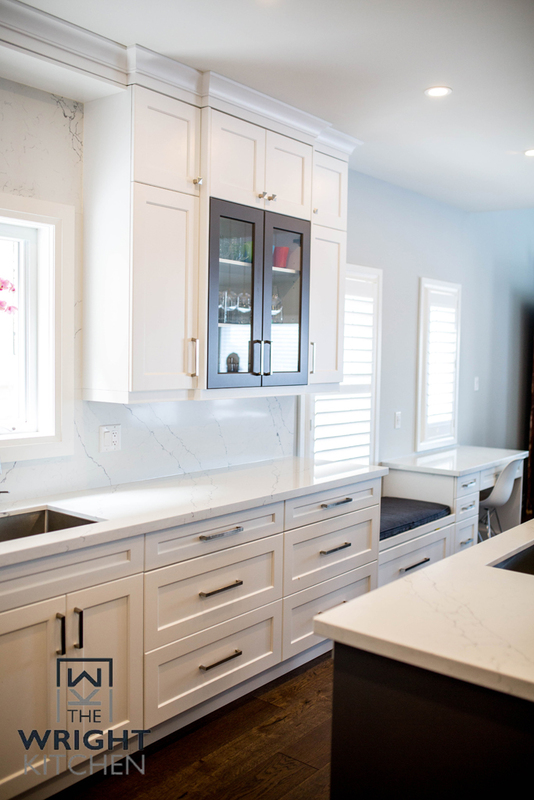 At the time she did not know whether it made more sense to transform her entire home or search for another house that would meet her family’s needs. 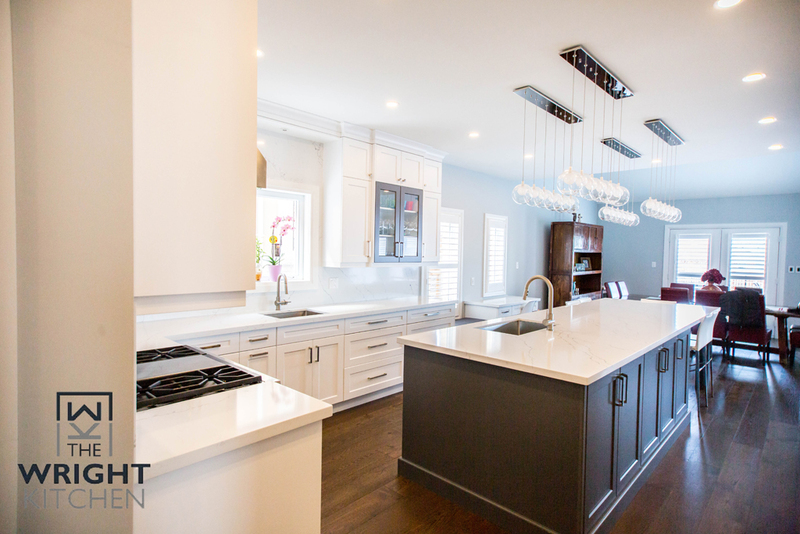 Perched near the edge of the escarpment with sweeping views, we knew this was a home her family did not want to part with and our goal was to help her transform it and love it. 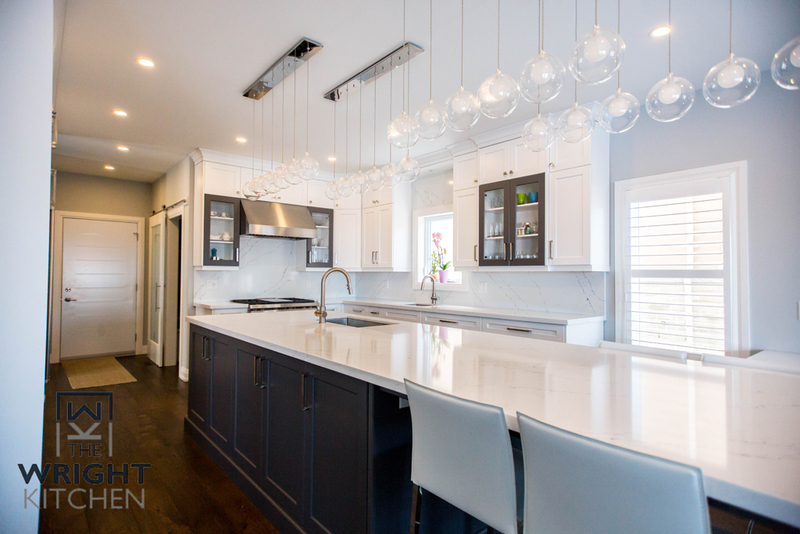 She wished for a modernized kitchen, a style that would still suit the overall design of the house. 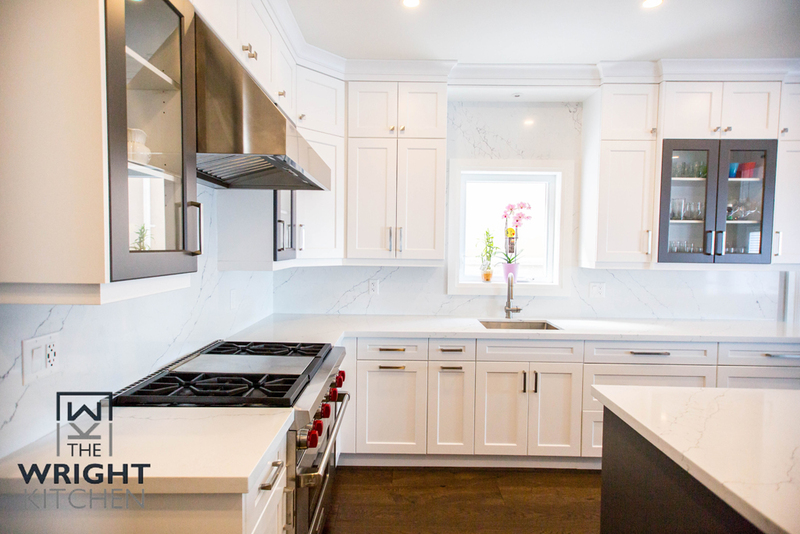 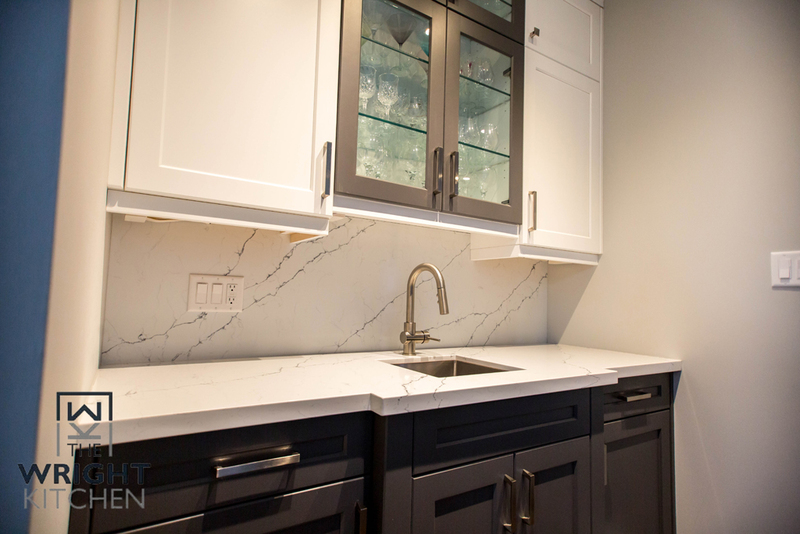 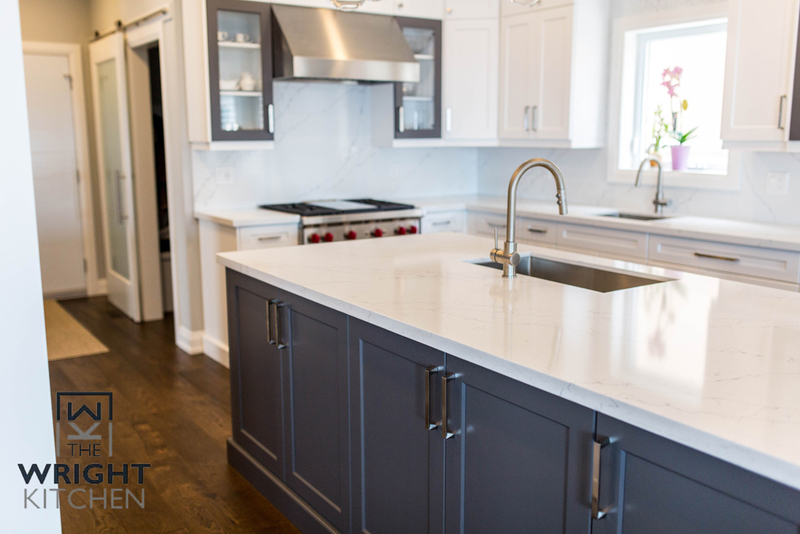 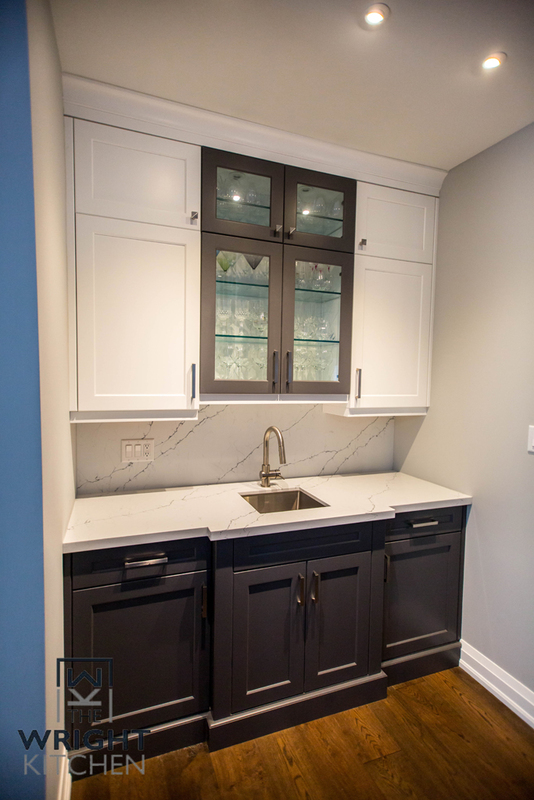 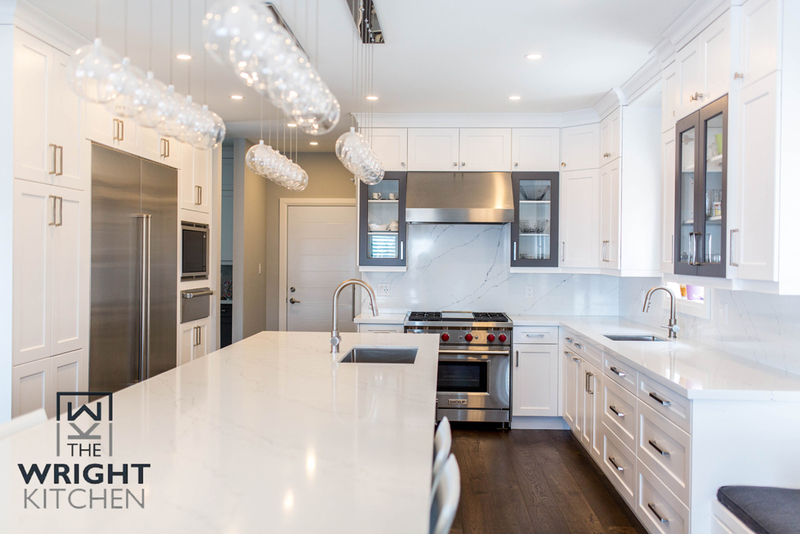 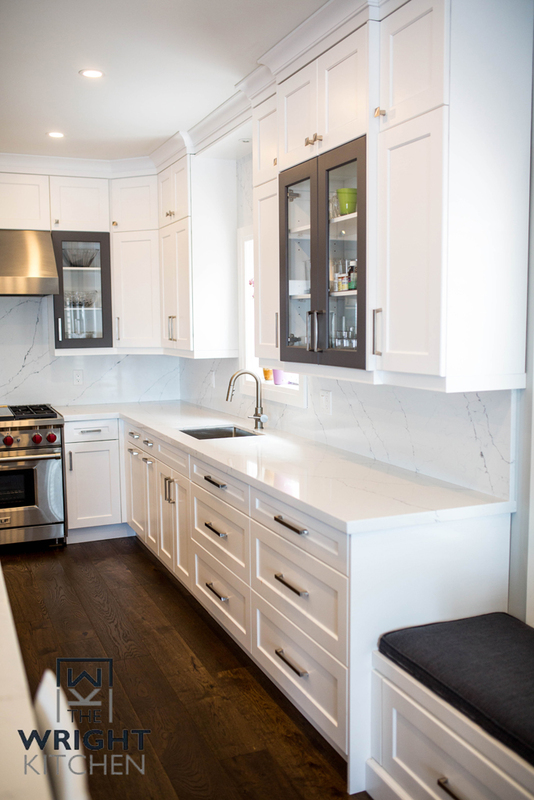 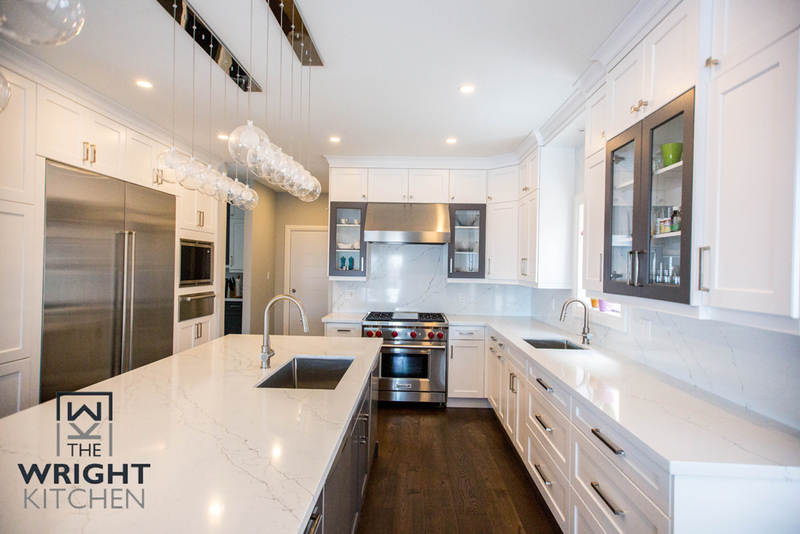 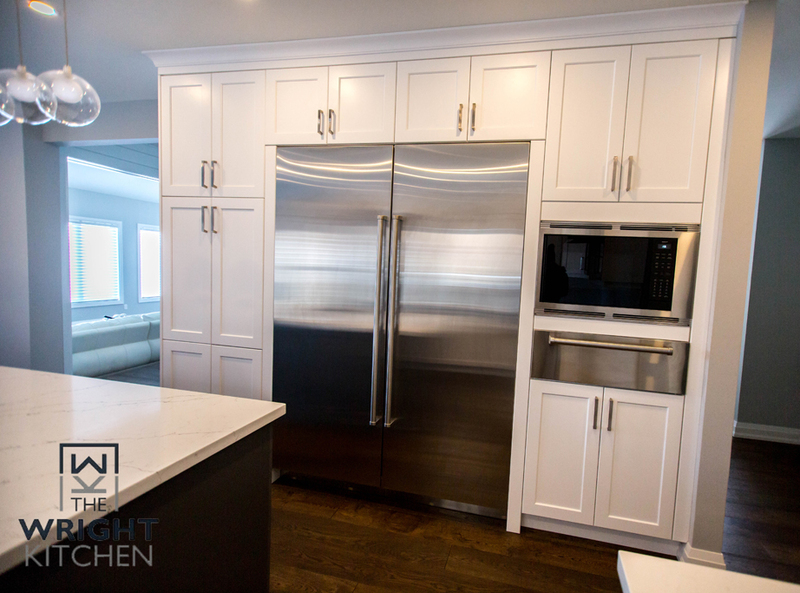 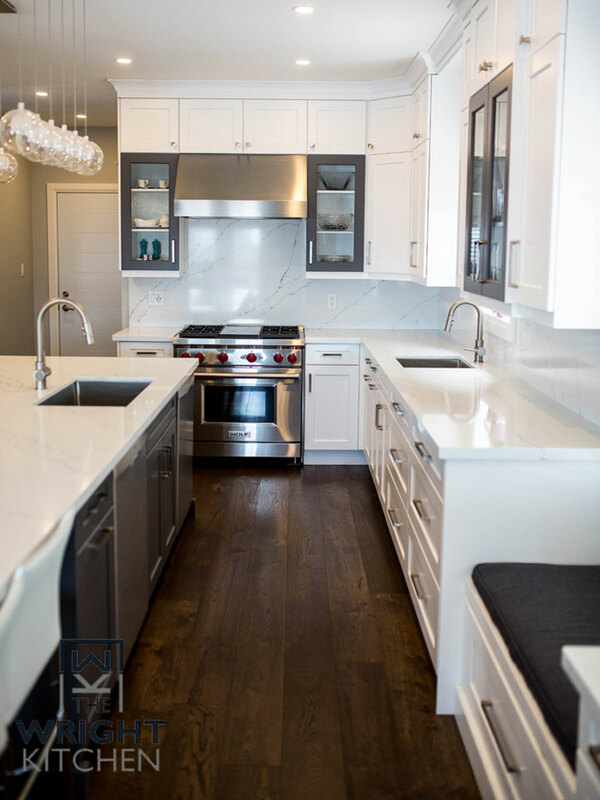 We started with a concept for the kitchen, which of course being the hub of the home, was to need a notable transformation in order to better accommodate their growing children, family and friends as well as utilize the available space to its full potential. 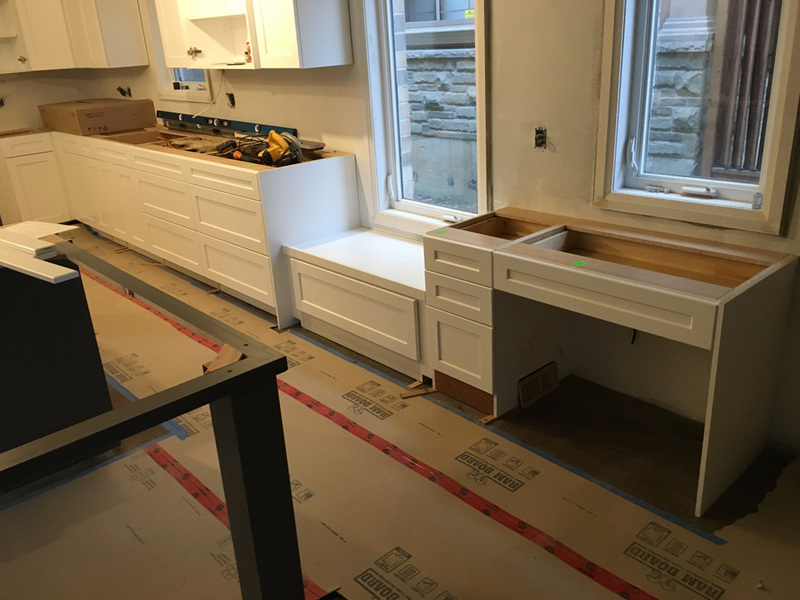 On our client’s wish list was a large island, which was to fill in the expansive area in the centre of the kitchen. 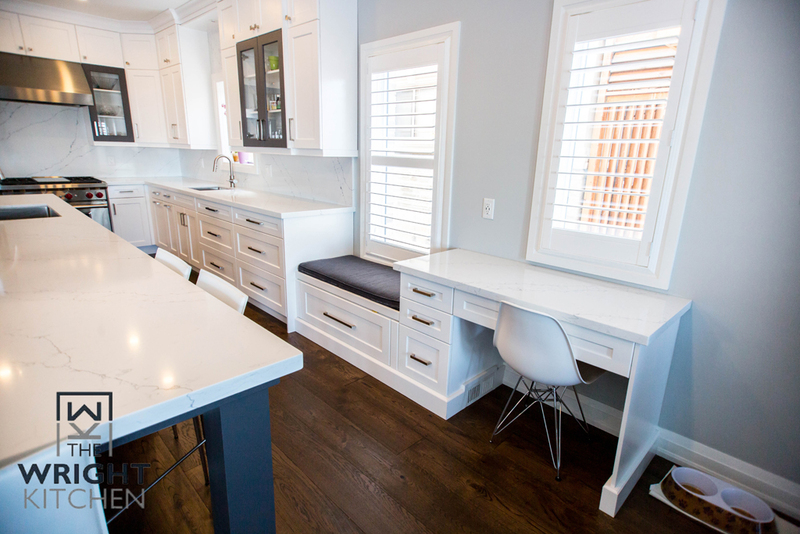 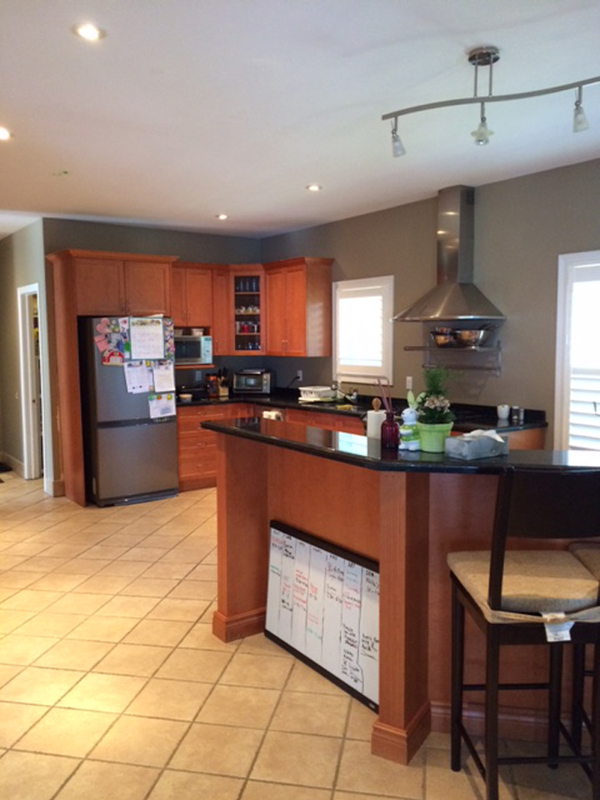 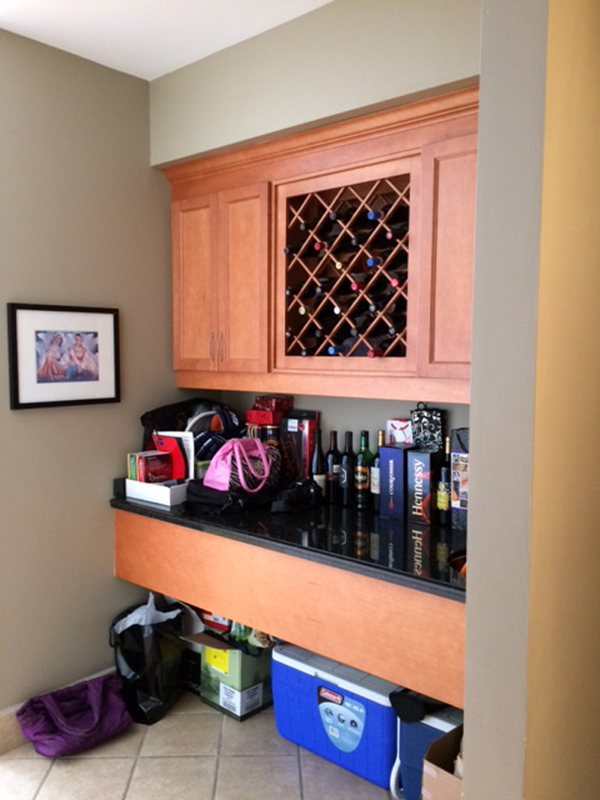 This island was to provide a gathering space for entertaining while adding a significant amount of storage. 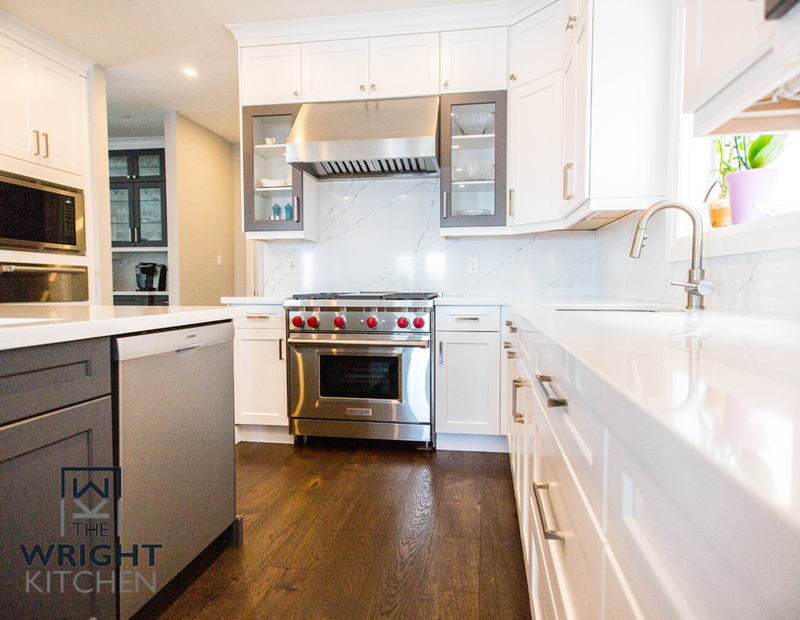 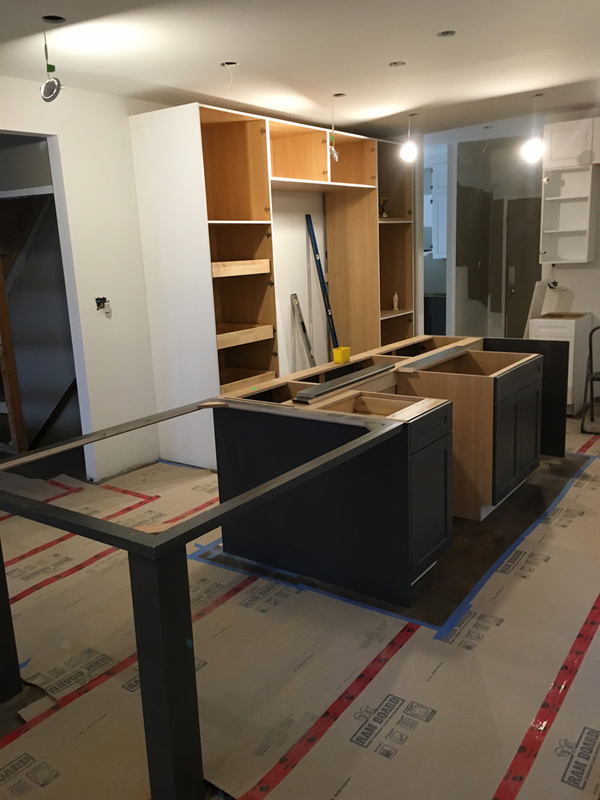 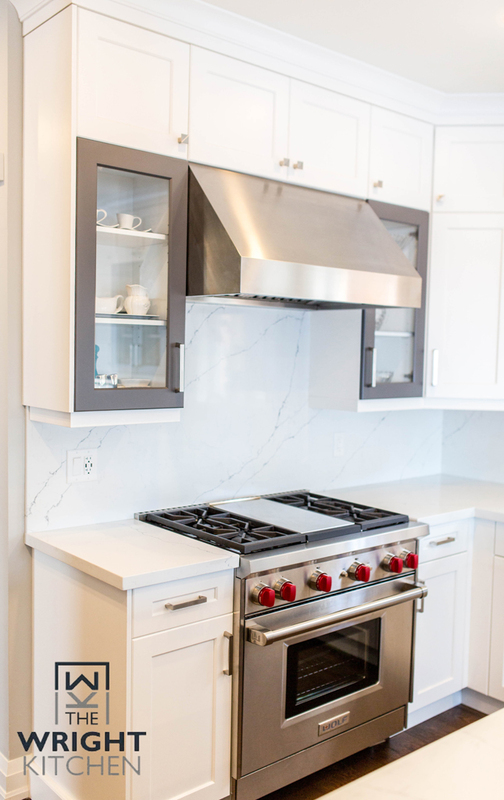 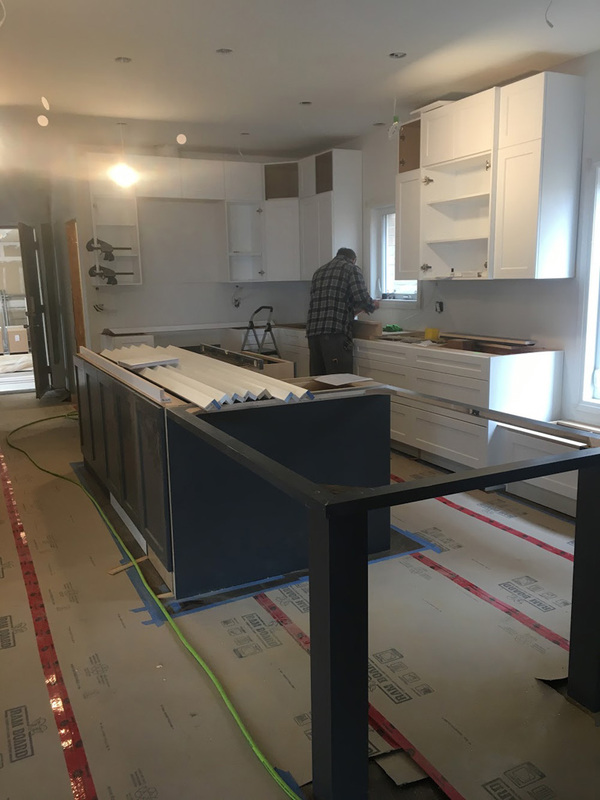 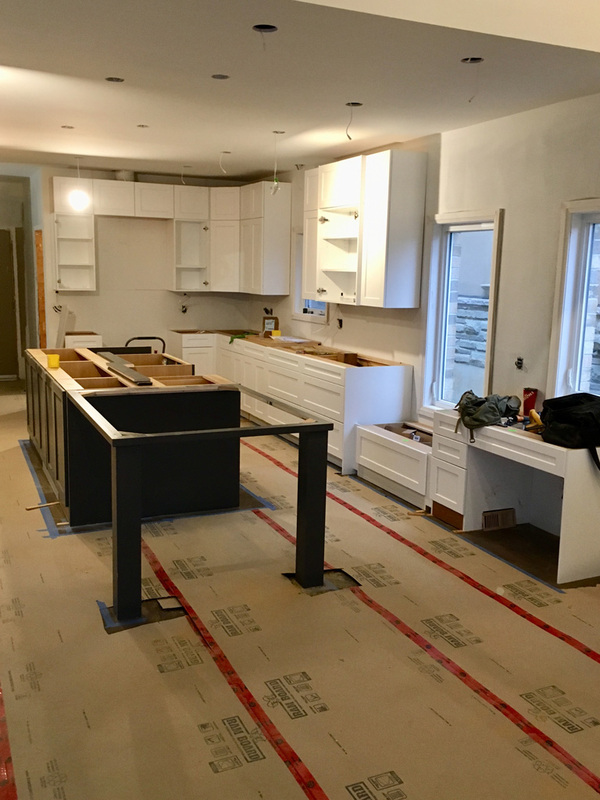 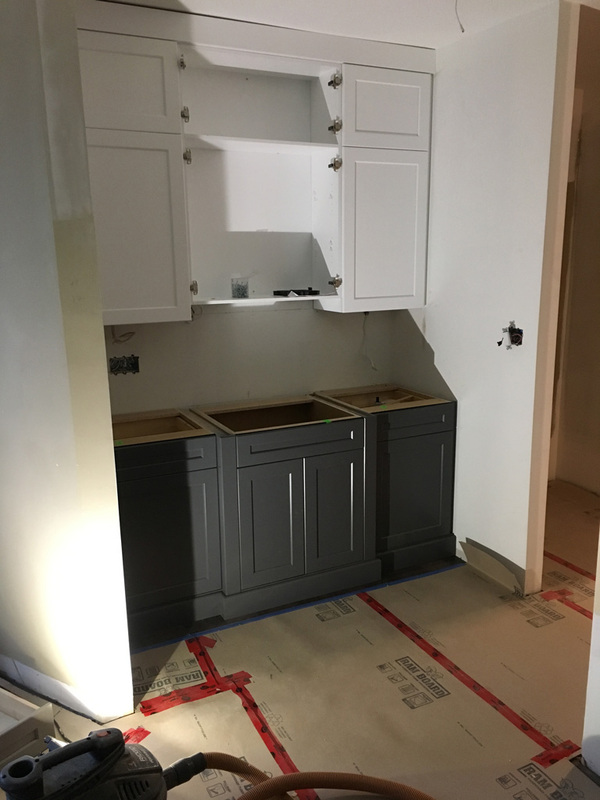 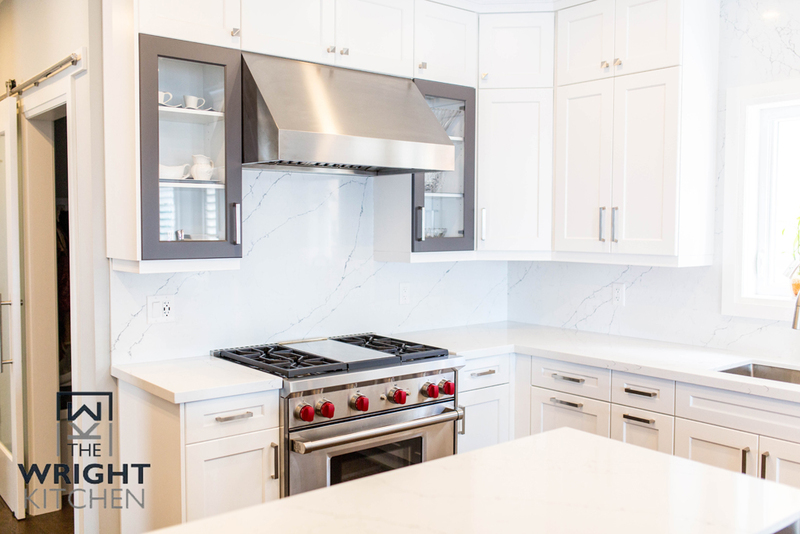 We worked with the original plan of the home and moved appliances around existing windows while maintaining a familiar and practical cooking space for our client. 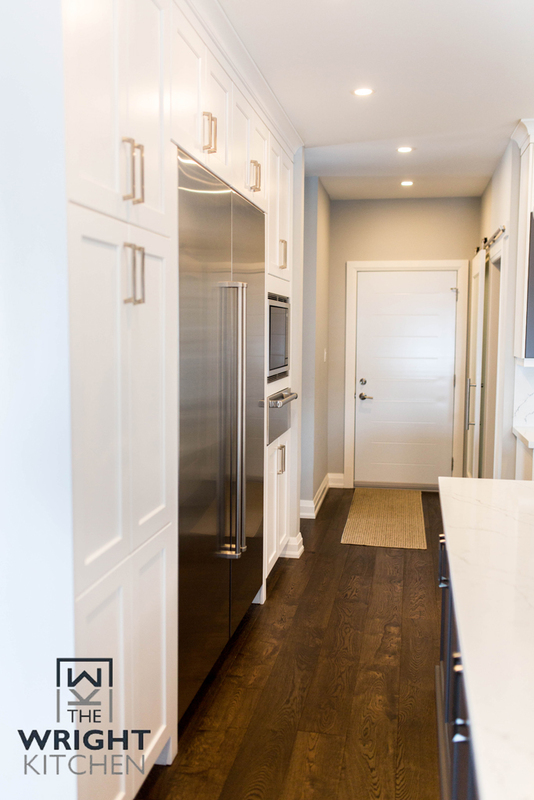 Once we had a concrete plan for the main room of the house, we collaborated with Goldwing Renovations and visited other areas of the house including 4 bathrooms and a spacious home office, to ensure that all areas of this main floor renovation came together and met the requests and needs of our client and her family. 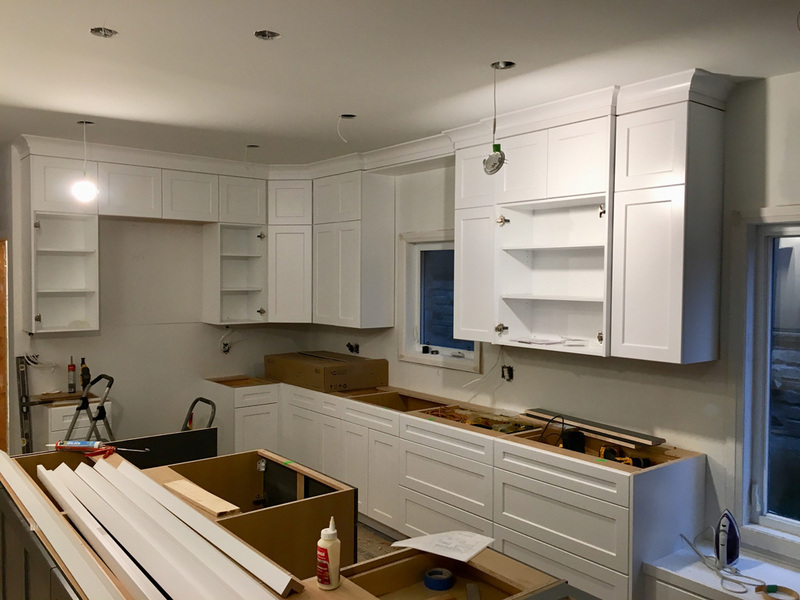 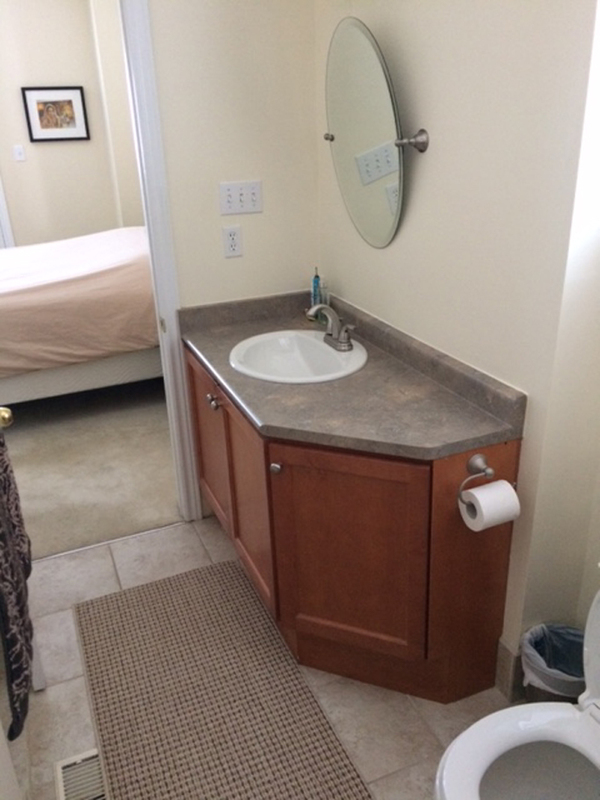 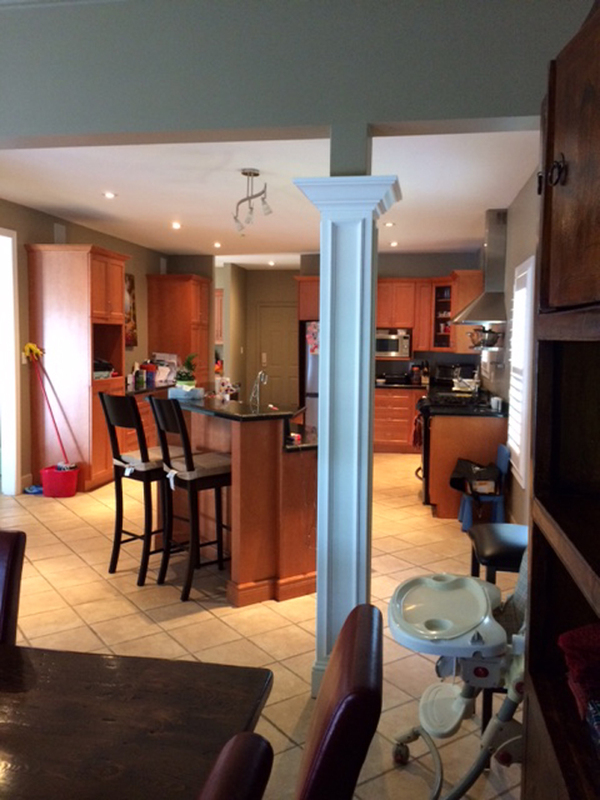 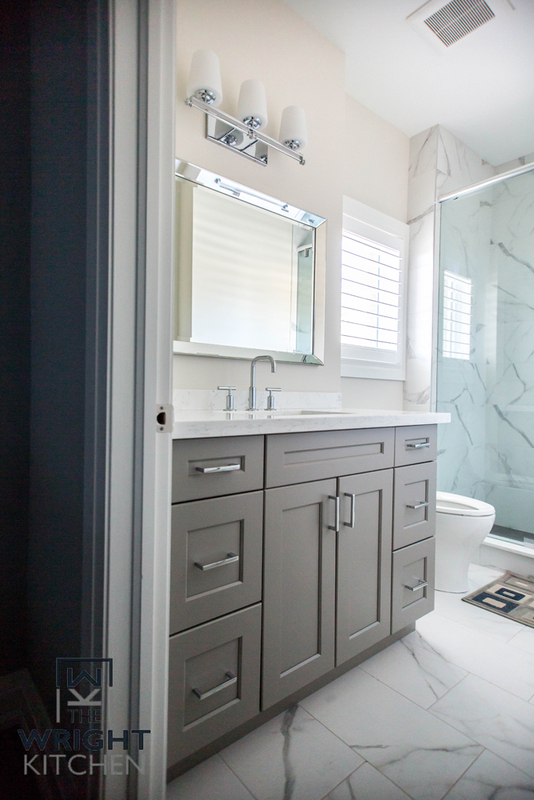 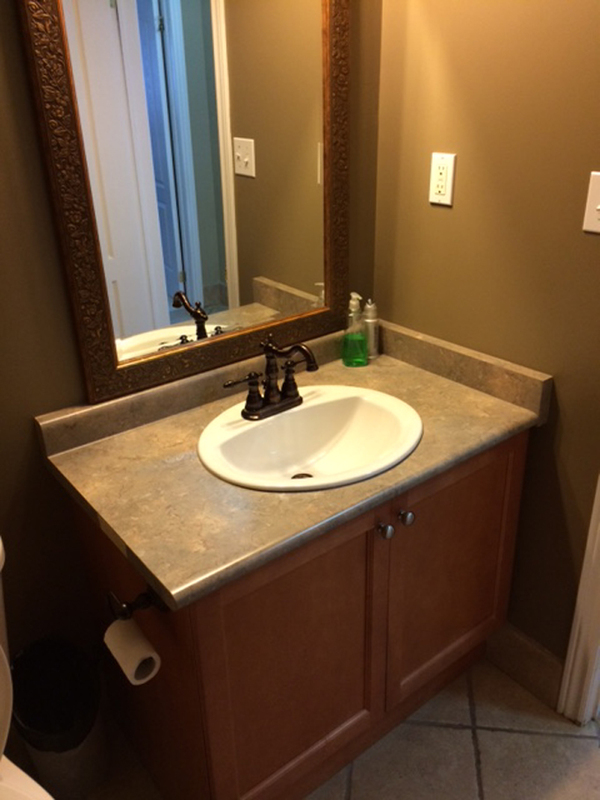 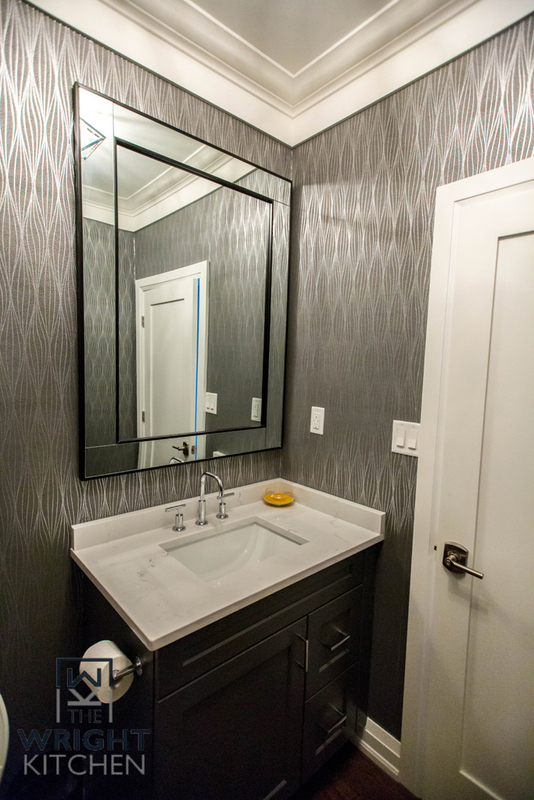 Full home renovations are always a journey and this project was one with another beautiful end result.